Every station has at least one ticket vending machine that is wheelchair accessible. Every station has a ticket gate for the disabled, wheelchair users, or passengers with strollers or bulky packages. These are generally located next to the Information Counter. 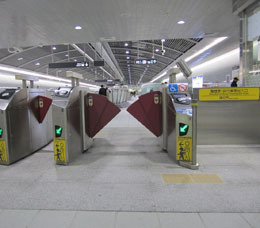 The gate is equipped with a service button so disabled passengers can call for assistance from station staff. 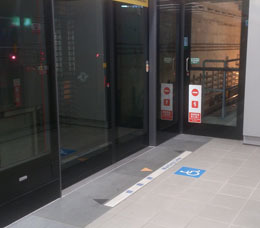 Users of electric wheelchairs and assisted mobility vehicles must slow down inside stations and trains to prevent collisions and possible injury. Accessible routes are planned in all MRT stations and guide signs are installed to direct disabled passengers to the trains. For the safety of the visually impaired, disabled, elderly, pregnant women or passengers with strollers or bulky packages, each station has an elevator that remains open for an extended period. 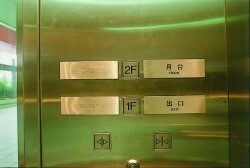 The elevators are equipped with braille buttons, speakers, handrails, low operation panel and intercom system. 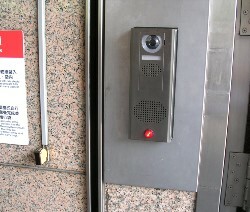 In case of emergency, people with disabilities may contact the Information Counter via the intercom. 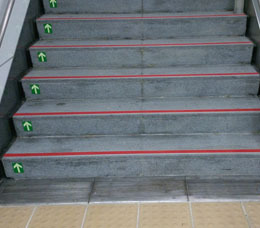 Anti-slip strips installed on the edge of all stairs at metro stations contrast in color from the stairs to help visually impaired and elderly passengers gauge the height difference. Tactile guide paths for the visually impaired extend from the sidewalk outside the station onto the concourse and through the ticket gate. 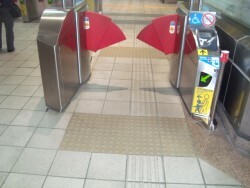 However, in line with Taipei City Government policy, tactile guide paths for the visually impaired were not installed in stations that commenced service after 2008. 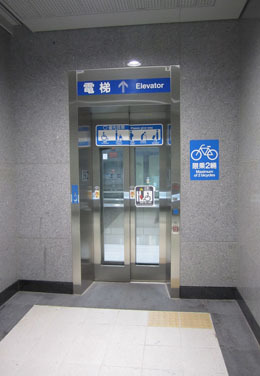 Rather, tactile tiles were only installed at hazardous areas (such as the beginning and end of stairs or the edges of platforms) and important facilities (such as in front of the elevator assistance button). Updates hearing impaired and other passengers on Metro related news. In the event of an emergency, the display system provides frequent updates. 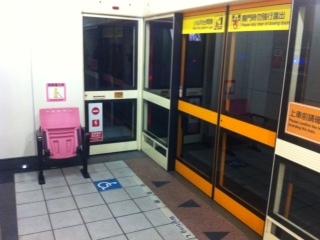 Located at the first door of the lead carriage so the driver can help disabled passengers on and off the train. Each platform has eight doors. 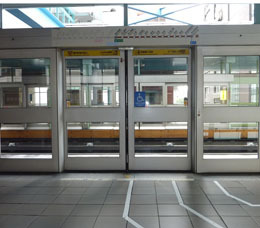 The doors at the far ends of the platform are designated for wheelchair access. 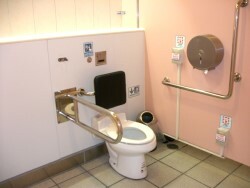 All public restrooms are accessible by the disabled and mobility-impaired passengers. 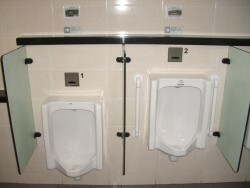 Additionally, the urinal and toilets are partitioned by enclosed stalls to enhance privacy. 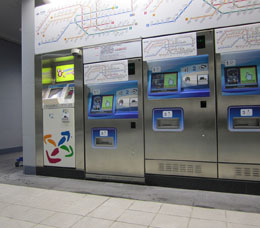 The non-paid area of the concourse and platforms are equipped with at least one payphone for use by the disabled or wheelchair passengers. 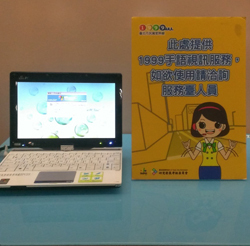 1999 sign language service for the hearing impaired is available at Taipei Main Station, Yuanshan Station and Songshan Airport Station. The Skype video equipment connects directly with a 1999 sign translator. Hearing impaired passengers may ask for assistance with this service. Pre-recorded destination announcements are played on the platforms of all stations when trains are approaching to help visually impaired passengers board the right train. 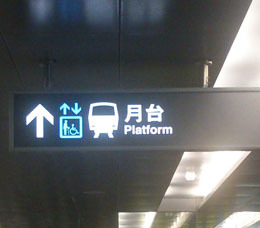 For example: "Platform 2 for Beitou", "Platform 2 for Far Eastern Hospital", "Platform 1 for Huilong". Priority seats for visually impaired passengers have been placed by the first door of the lead carriage, on the platforms of 29 stations with higher visually impaired ridership and branch lines with longer waiting times. The seats help station staff and train drivers identify visually impaired passengers requiring special assistance and allow visually impaired passengers to rest while waiting for station staff to guide them to the exit. 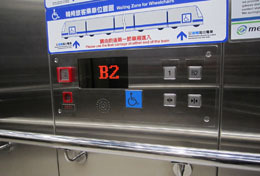 An audio instruction system for the visually impaired was installed at Exit 1 of Shuanglian Station. 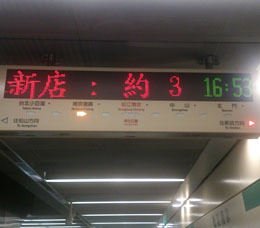 When a person carrying a transmitter walks within 5 meters of the device, a pre-recorded message is broadcast announcing: "Here is Exit 1 of Shuanglian Station. For assistance, please press the service button."